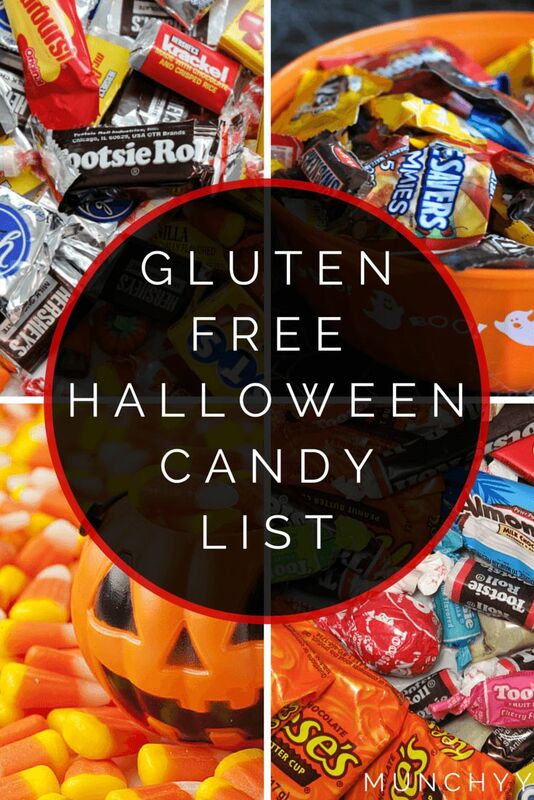 Halloween Treats For the Gluten Intolerant Child – This Girl Loves to Eat! I always feel sorry for the kids who have dietary restrictions or allergies that keep them from the annual day when they are given permission to gorge on as much candy as their little hands can shove into their mouths. There are only so many carnival mini toys, erasers, glow bracelets and stickers that one child can find exciting in their bags before the disappointment starts to set in and they lose the childhood joy of dressing up for Halloween. Thankfully candy manufacturers care about their bottom line and have made a better effort to label their packages so that parents can safely let their gluten intolerant kids collect all the candy they can grab in a couple of hours in the neighborhood and, when it comes to sort it, they can even eat a lot of it now! M&M’s (all EXCEPT for pretzel-flavored M&M’s). Note that some special flavors have a risk of gluten cross-contamination because they’re made in facilities that also use gluten-containing ingredients — for example, in October 2015 the Pumpkin Spice M&Ms available in some stores are labeled “may contain traces of wheat”) NOTE: plain M&Ms (in any color) actually meet the more stringent standards for gluten-free certification, which require the products to contain less than 10 parts per million of gluten. If you experience any reactions to products listed here, that display the GF symbol or statement on the packaging contact the manufacturers listed at the numbers on the linked PDF. Posted on October 29, 2015 October 29, 2015 by ls1228Posted in Dessert, Gluten Free, Holidays, TreatsTagged Candy, Celiac, cross contamination, gluten free, Gluten Intolerant, Halloween.